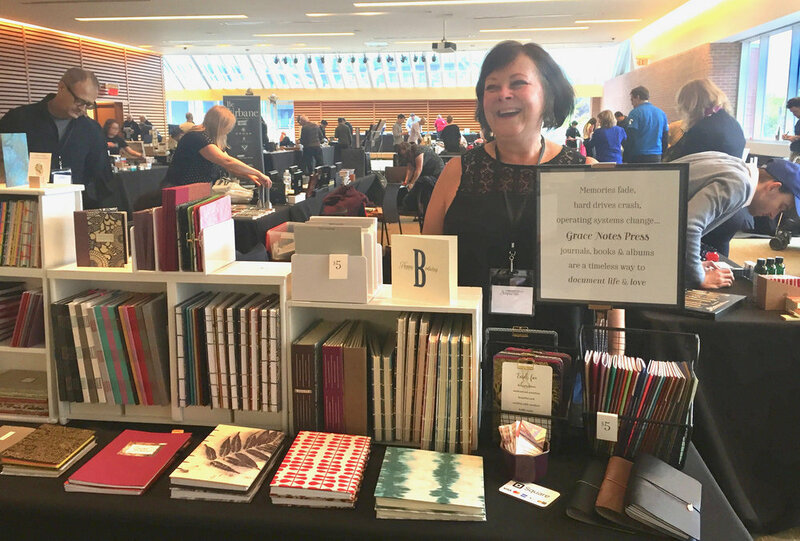 The 41st Wayzgoose Book Arts Fair at the Grimsby Public Art Gallery brings together a fascinating group of private press printers, bookbinders, printmakers, paper marblers and other artisans to celebrate the art of the handmade book. It’s a day devoted to the exchange of ideas among colleagues and presentation of the book arts to visitors. Grace Notes Press is proud to be a part of this creative community, and will display our fresh line of journals, books and albums as well as demonstrate hand-binding techniques. Step into spring at the Royal Botanical Gardens on Easter Weekend, for the Artisan Bazaar Show. Grace Notes Press will be there with fresh journals, books, albums and new Guestbooks for your milestone events and hardcover Dot Bullet Journals to track your daily life. Join me and other women entrepreneurs on this day to celebrate women. I will be showing my products and talking about my business at the Staples store on Fairview near Brant Street.